Setting the standard for Dallas unique and custom home remodeling services. 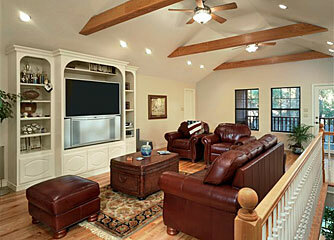 If your looking to redesign your house in Dallas please call us before making a FINAL decision. D & D Services has set the standard for unique and custom home remodeling services. Our dedication to providing the newest ideas and products, delivering ontime, combined with unmatched craftsmanship in a variety of areas, sets D & D apart from all other remodeling companies. But even more important than our individual skill sets, the D & D team understands the process of creating award-winning projects. We know that taking your dream from concept to completion requires a team approach. The true mark of excellence comes with the mastery of specialized multiple talents in design, construction and finishing. The D&D team removes the gamble from the equation of home remodeling. By clearly outlining the process, offering a variety of options and working closely with you as the project evolves we make the process easy and fun. We love creating beautiful spaces and it shows. Our award winning design talents combined with an extensive knowledge of structural design and materials ensures that the spaces we create are balanced and aesthetically functional.